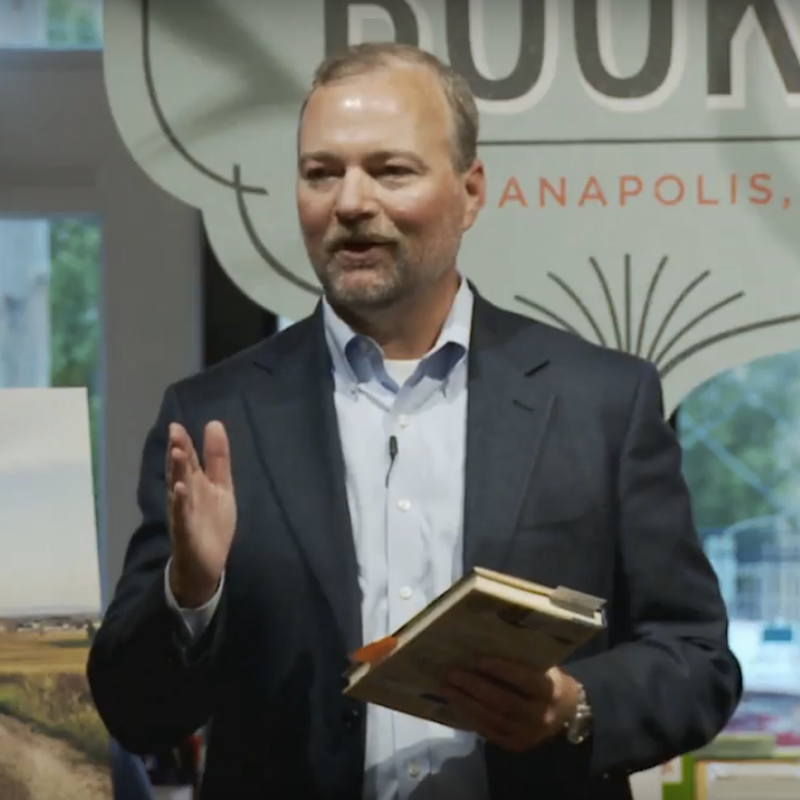 The book tour for my book, The Camino Way: Lessons in Leadership from a Walk Across Spain (AMACOM, July 2017), went to Chicago this past month for a wonderful event. The next stops are going to be in Indianapolis at the 2017 Indy Author Fair on October 14th and Cincinnati at Joseph-Beth Books on October 24th. Learn more about the book tour here. 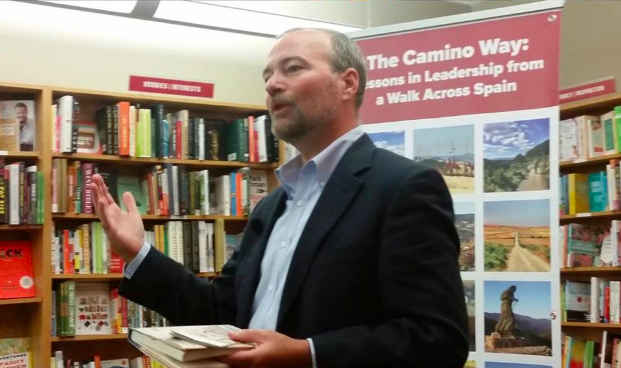 In November, the book tour for The Camino Way is heading to South Africa. 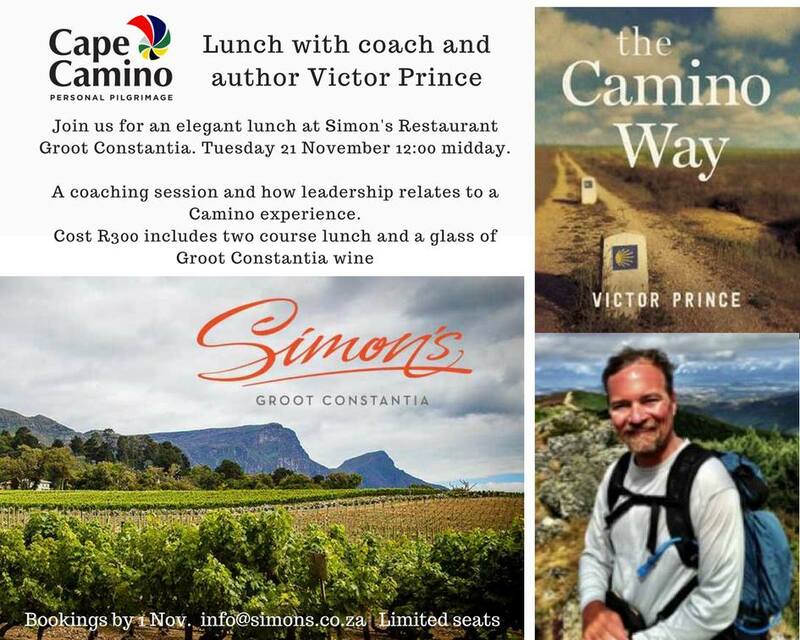 We are doing several events, including a group walk along the Cape Camino hiking trail near Cape Town. That event has already received almost 400 RSVPs, so we are very excited. If you have never visited the stunningly beautiful city of Cape Town, perhaps you could make it your Thanksgiving vacation. Learn more about the South Africa trip here. I was a guest on Kevin Eikenberry's Remarkable Leadership podcast this month. I've done many interviews, but Kevin has a uniquely engaging interview style. I have never laughed as much as in this one. You can hear the full interview here. 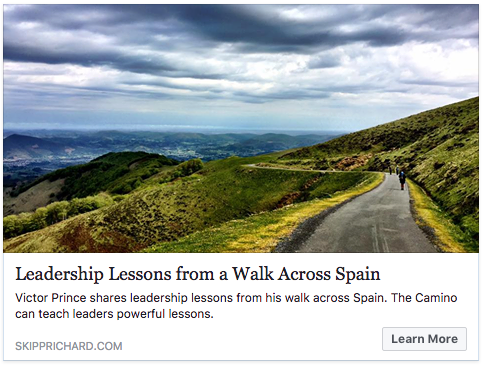 My book, The Camino Way, was featured in Skip Prichard's excellent (and very popular) blog on leadership. Read the full interview here. 5-star reader reviews for The Camino Way continue to come in on Amazon.com. (If you have read it, I would love to get a review from you too!) You can see all the reviews here. 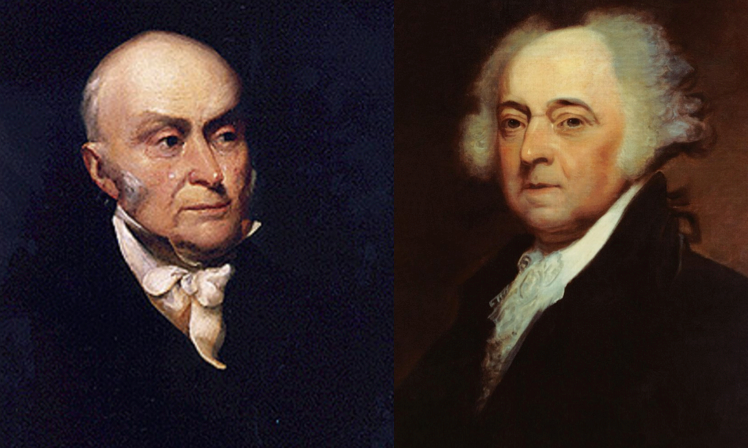 One of my blogs this month shared an interesting story about how two future US presidents found themselves walking the Camino de Santiago trail across Spain together in the 1700s. Read the full story here. Finally, to mix things up with a bit of fun, one of my other blogs this month shared some fascinating business lessons I learned during a recent visit to the ABBA Museum in Stockholm, Sweden. Read the full story here.